This Mercedes-Benz includes: BLACK ASH MATTE WOOD TRIM Woodgrain Interior Trim SMARTPHONE INTEGRATION Smart Device Integration AMG AERODYNAMICS PACKAGE Rear Spoiler AMG ILLUMINATED DOOR SILLS AMG DYNAMIC PLUS PACKAGE Locking/Limited Slip Differential Active Suspension MULTICOLOR AMBIENT LIGHTING AMG RED BRAKE CALIPERS DRIVER ASSISTANCE PACKAGE Lane Departure Warning Lane Keeping Assist Adaptive Cruise Control AMG NIGHT PACKAGE PARKING ASSIST PACKAGE Automatic Parking Back-Up Camera Power Folding Mirrors PANORAMA SUNROOF Generic Sun/Moonroof Sun/Moonroof Dual Moonroof BLACK SEATBELTS AMG PERFORMANCE EXHAUST SYSTEM *Note - For third party subscriptions or services, please contact the dealer for more information. * Want more room? Want more style? This Mercedes-Benz GLA is the vehicle for you. You appreciate the finer things in life, the vehicle you drive should not be the exception. 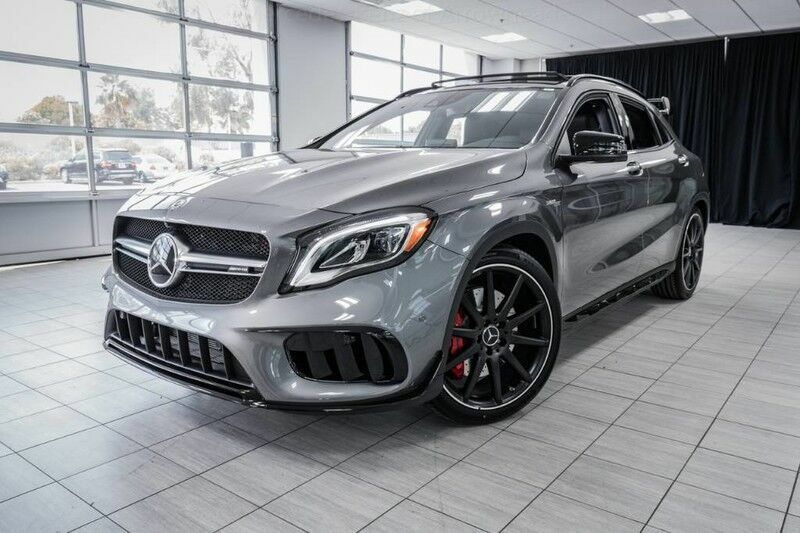 Style, performance, sophistication is in a class of its own with this stunning Mercedes-Benz GLA. This Mercedes-Benz GLA is equipped with AWD for improved handling. Whether you're faced with inclement weather or just out enjoying the twisting back road, you'll have the grip of AWD on your side. Visit your Mercedes dealer today serving Phoenix, North Scottsdale, Tempe, Gilbert, Mesa, Chandler, Scottsdale AZ.